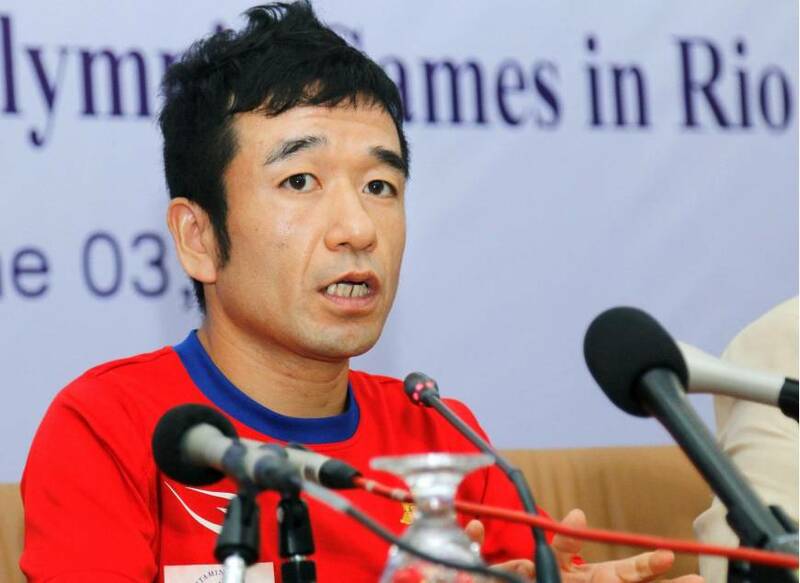 PHNOM PENH - Japanese-Cambodian comedian Hiroshi Neko vowed on Friday to get the best possible result for Cambodia in the men’s marathon event at this year’s Olympic Games in Rio de Janeiro. Speaking at a news conference, Neko, who will represent Cambodia at the Rio Games in August, said he expects to post a time of 2 hours and 25 minutes, which would be two minutes faster than his best time from the 2015 Tokyo Marathon. Neko, 38, gained Cambodian citizenship in 2011 and was nominated to represent the country at the 2012 London Olympics, but his nomination status was rejected by the International Association of Athletics Federations, track and field’s world governing body, because a year had not passed since he gained Cambodian citizenship. But the comedian, whose real name is Kuniaki Takizaki, was nominated again early last month after he finished first among 11 Cambodian runners who took part in a full marathon on May 8 in the country’s southern coastal city of Kep. His time in the race was 2:44:02, 14 minutes ahead of the runner-up. When asked if he may retire after the Olympic Games in Brazil, Neko said that as long as he is capable, he will contnue his running career. He said that he wants to be a role model or coach for Cambodia’s next generation, especially when Cambodia hosts the first Southeast Asian Games in 2023. On his nomination to represent Cambodia, Neko said “I am very happy” and gave a firm “no” when asked if would consider regaining his Japanese nationality. From now until he departs for Brazil on July 29, Neko said he will hold running practice in Siem Reap, hometown of Angkor Wat temple, and in Japan. 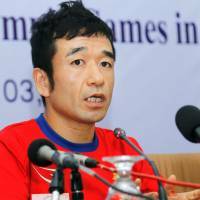 He said he also wants to help serve as a tie for Cambodia and Japan’s sports sectors in the long term.